Chris Law MP has joined other MP colleagues from across Parliament to send a letter to President Trump urging the immediate closure of Guantánamo Bay following the 16th anniversary of the centre’s opening. 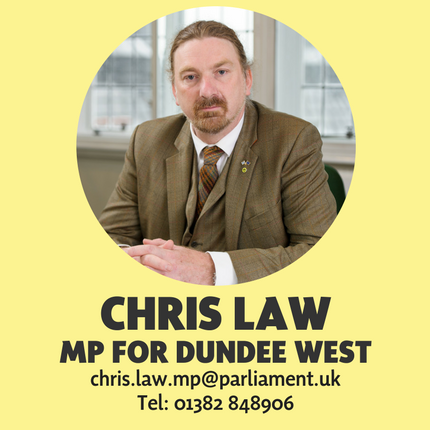 The SNP Spokesperson for International Development and Climate Justice, sent the letter on behalf of the Close Guantánamo campaign along with members from Labour, the Green Party, the Liberal Democrats and the Conservatives. The Guantánamo Bay detention centre opened in 2002, and at its height held almost 250 inmates. The centre has previously attracted intense international criticism for holding prisoners indefinitely with no access to a fair trial, as well as subjecting inmates to methods of torture that is claimed breached international human rights law. MPs from across the UK were particularly critical of the centre following the detainment of five UK residents, including Shaker Aamer who was held for years without charge before his high-profile release in 2015. Although it was hoped that the site would be closed by President Barack Obama, 41 men still remain at the facility, and there are worries that President Trump will look at increasing the number of prisoners held there. Mr Law, the chair of the APPG on Guantánamo Bay, also tabled an Early Day Motion earlier this month urging its closure. The EDM has attracted signatures from almost every party represented in the House of Commons.